Ohrid is located in the south western part of Macedonia, on the coast of Lake Ohrid. Undoubtedly this is the town that put the crown jewel of the Macedonian Republic. The unique architecture located on the shores of the lake is relatively easy to get to, with a flight to Skopje and from there, bus to Ohrid. If you rent a car, you will be able to make frequent stops to explore the utmost beautiful surroundings along the way. From 1980 Ohrid is included in the list of World Heritage by UNESCO. This is the fourth capital of Bulgaria, perhaps the most beautiful city in the territory of Macedonia and one of the most beautiful ancient cities in the whole Balkan Peninsula. In the blue, clear crystal waters of the lake lie iages of reflecting houses and medieval churches upon the surrounding hills. Combined with the beautiful Renaissance architecture and exceptional natural features, the ancient monuments in Ohrid create a unique atmosphere. 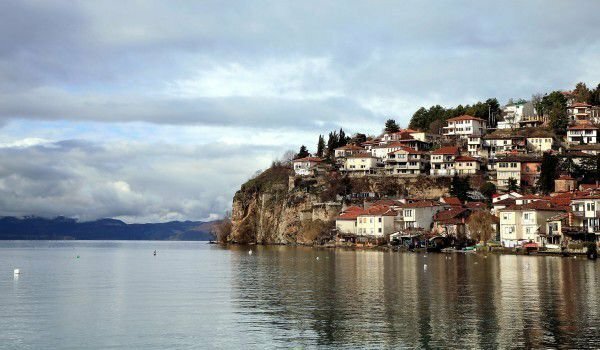 Ohrid was founded in antiquity as a Thracian-Illyrian city under the name Lihnidos. This city was located in one of the most important routes in ancient times - Via Ignaz, which led through Durres to Thessaloniki and Istanbul. In Byzantine times monasteries and the churches were built near Ohrid. Later the whole area is populated by Slavs and Bulgars. Here, most tourists stay in hotels or in private accommodation, which is a far cheaper option. The centre is reached with a bus, there are almost always people who offer 'sobi', ie. rooms. After a break you can see downtown, see the city square, the port and old town as well as the newer part of town. If you go from the square up the street that is closed to cars, you will reach the Ohrid Bazaar. There are many souvenir shops as well as outlets for food and cosmetics. 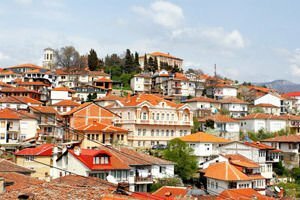 You need a special one day to tour of the old city of Ohrid to see everything. If you can, visit the Samuil fortress, temple and St. Clement, dating from the 13th century, the church of St. Panteleimon, which has 800 icons painted in the 11th and 13th Century. Interesting are also the St Sofia Church and St. Clement church. It contains the relics of St. Clement. In almost all these temples, you can see fine works of ecclesiastical art and frescoes, icons, mosaics and unique iconostasis.